The CDC has issued a warning about a tick season that’s more active than usual. These pests can be a threat to people and their pets due to the diseases they spread through their bites. Similar to mosquitoes, ticks feed on blood meals from humans and animals. It’s important to learn more about these pests, including what steps to take to protect you and your pets from them while you’re outside this summer. You should also consider tick control services in the Hilton Head area if you find any these pests in your yard. Ticks in SC, which include deer ticks, lone-star ticks and other species, target humans and animals when they need to feed. These pests attach themselves to their victim and feed on blood, causing them to take on a bloated appearance. Many tick species are small prior to feeding, but filling up on blood typically makes them much larger. Ticks are active throughout the summer months and in early fall before colder weather sets in. 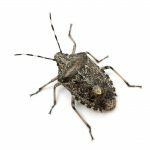 You might find these pests in fields, wooded areas and your own yard, especially if you have tall grass, wood piles or other areas where they can hide. Some tick species are able to transmit canine babesiosis, Lyme disease and other diseases to pets when they feed. When your pets have been outside, you should look them over for any signs of ticks. Pay close attention to their ears and in between their toes, since ticks can hide in these areas. You should also talk to your vet about using a tick prevention product, such as a monthly preventative pill, to lower the risk of having your pets bitten by these pests. 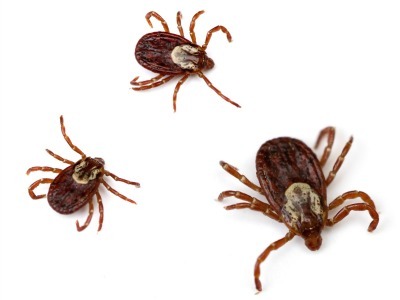 Ticks can spread Rocky Mountain spotted fever, Lyme disease and other diseases to people through their bites. Some of these diseases can cause serious and even life-threatening complications, so it’s crucial to protect yourself. When you go for hikes in the woods, walks in local parks or backyard barbecues this summer, take steps to protect yourself from ticks. – Wear a tick repellent that reduces the risk of having these pests bite you. These repellents typically have the added bonus of keeping mosquitoes at bay as well. – Tuck your pants into your socks to stop ticks from being able to crawl up your legs. – Wear clothes that are light-colored and cover your body, which gives ticks fewer areas to find exposed skin. – Wear a hat to keep ticks out of your hair and off your head. – Mow your grass frequently, since longer grass gives ticks more hiding spots. – Keep wood piles away from your house. – Remove trash piles from your yard to eliminate even more hiding spaces for ticks. 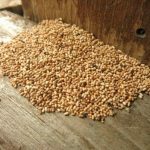 – Have a pest control service treat your yard for these pests to prevent infestations from occurring. What should you do if you or your pet end up with a tick? Don’t squeeze the tick to get rid of it. Instead, gently remove it with tweezers while being careful not to crush the head. Have yourself or your pet tested for Lyme disease and other tick-borne illnesses to ensure prompt treatment if needed. If you notice any ticks in your yard, don’t hesitate to have experts in Hilton Head provide you with tick control services to thoroughly eliminate these pests from your property. With such an active tick season, you could end up needing tick control services for your own backyard. 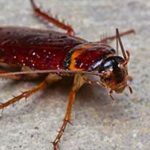 Contact Island Pest Control if you have these pests on your property, and our state licensed technicians will be able to get rid of them to keep you and your pets safe.